Flyash is one of the biggest displacement industrial residue in China. With application of flyash is wider, the requirement of grinding technology is also improved. 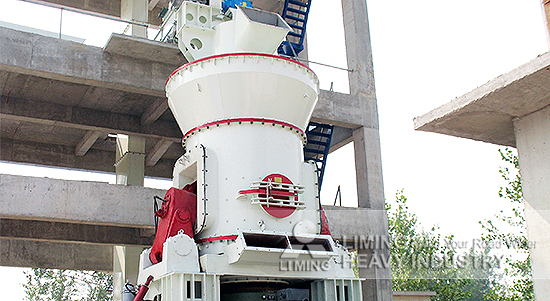 Traditional Raymond Mill and Ball Mill can’t satisfy the demand about capacity and output size, but this new vertical mill must be popular grinding machine depending on advantages of advanced technologies and convenient operation. It is potential for using vertical mill to process materials applied in cement, mortar, filler and brickmaking. Vertical mill is processional grinding machine processing materials by large roller pressure system. The most obvious advantages are large scale equipment and automatic operation compared with ordinary grinding mill. In general, the capacity of vertical mill can reach 100tph even higher. Vertical mill is controlled by specialized hydraulic system, and it is easy to operate and overhaul machine. In current market, vertical mill has a head start over most of pulverizers based on outstanding performances. Vertical mill can be used in construction, road, agriculture and resources recovery, etc. fields. On the one hand, flyash concrete has wide applications in civil engineering, water conservancy project, prefabricated concrete products. On the other hand, flyash can be also used for paving a road. In fact, it is a filling material in the project. What’s more, flyash can be also used in construction. <<Previous：How to set up a calcium carbonate plant?